A mum, a wife, a book-lover, a student and a gameaholic all existing in one head... these are the trials and tribulations! So as you all know I have an Esper and that is what I have been levelling recently, well Sunday morning someone in guild was running lowbie instances to help us lowbies lvl. I was invited along, I was tempted not to go in case I performed rubbish but I bit the bullet and went. I was so glad I did, must admit my guild really are awesome and I would not have seen those instances if it were not for them. First up we have Tixxy and her minions. 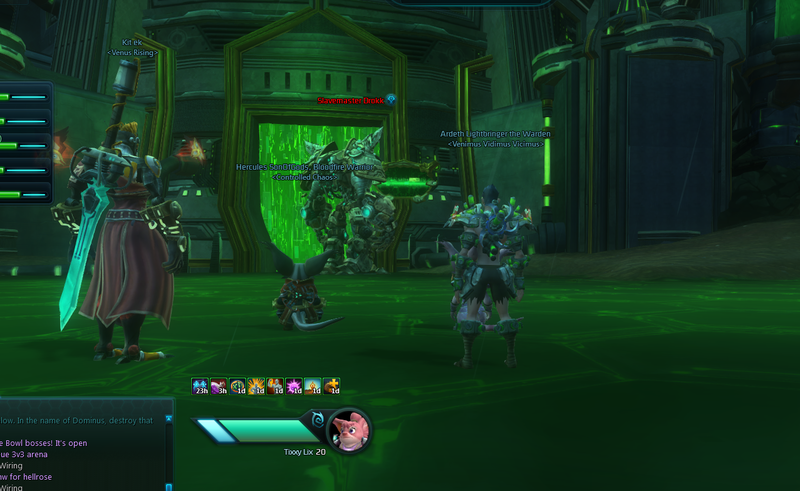 Then we have us (mostly guild group) at the entrance to Stormtalons lair. 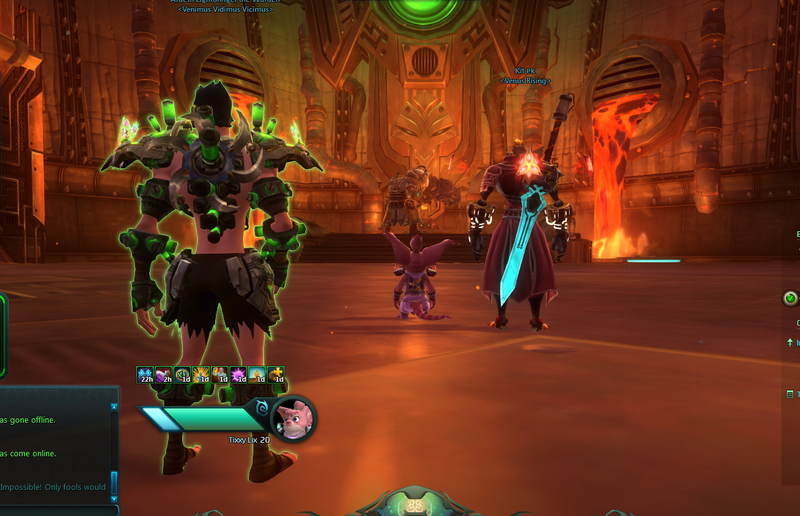 Then there is us fighting a boss, I do love the Esper healing effects. 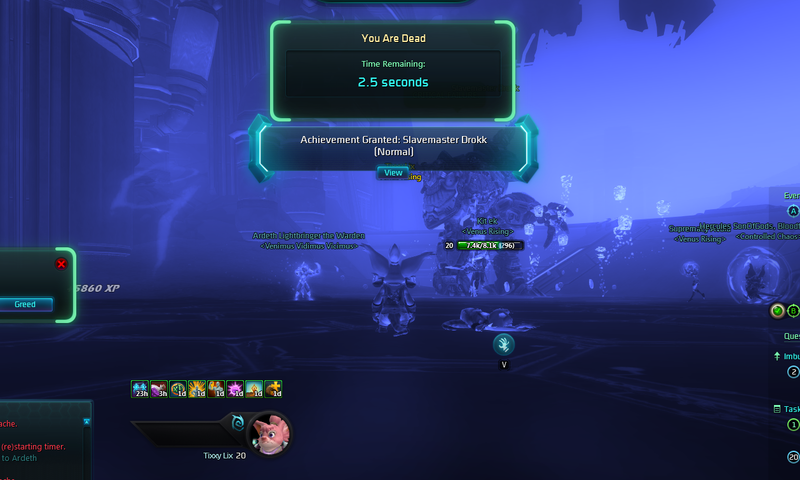 We run there several times then moved onto a different dungeon that I do not know the name of, I died several times in that one… here’s a couple of screenies. And of course…. me dead from the swirly things that I couldn’t avoid no matter what. The guild of course were awesome and didn’t complain about me dying. And I went up 3 and a half levels a lot quicker and more fun than if I had been just questing. If you play dominion and are looking for a guild I cannot recommend them enough. Check out their website. Www.venusrising.eu fun and frolics to be had by all. I think I was in this guild a short time. But I didn’t enjoy the game sadly. Do you guys do these things often? I love the dungeons in this game, but doing them in a pug is… not fun. Yep very easy to get a guild group together, the guys rock 🙂 it will be free to play in a few months come back and give it a try. It is a very friendly guild and if you would be interested in raiding they help getting attuned too so you can raid with them. 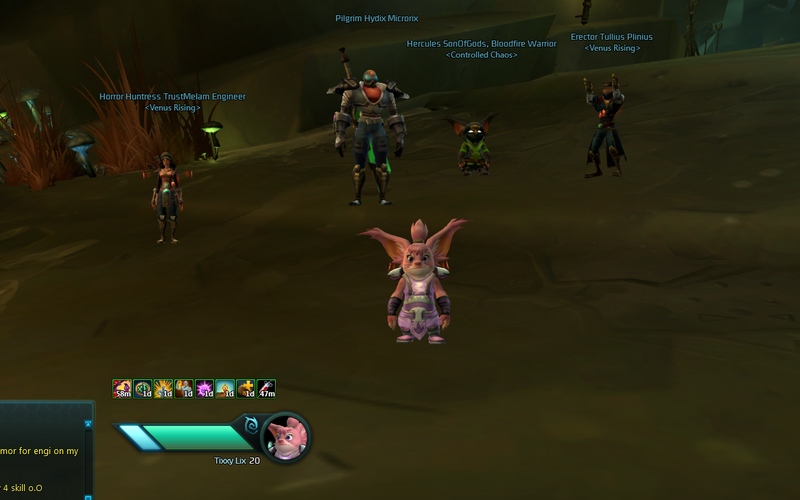 I look forward to seeing you there 🙂 hopefully by then nexus will still be there if one of my Chua’s haven’t inadvertently blown it up. lol them chuas, so cute! "There are some things that time cannot erase." I may be Writing, I may be studying, I may be doing both. Thoughts on games and social things and other fancy stuff.